We have had a lot of visitors lately, friends, cousins, Hubby’s parents and then my parents that we – just Hubby and I – have not had any ‘quality’ time together. We have had a busy month hosting and Hubby has had a stressful week at work, so when we finally had a night off, Hubby suggested we go on a ‘date’. By ‘date’ he means dinner of my choice! I have read about Hakka Ye Ye and have wanted to try it. Being ‘hakka’ I was certainly keen to try whether or not their cooking was as good as my grandmothers! Problem with going to a Chinese restaurant with two people is that your choices are quite limited to 2 – 3 dishes! Considering Hubby is NOT a big eater, 3 main dishes would be our limit! Nevertheless, I was seriously keen to try this place! This restaurant is very cosy, and the décor – simple. The menu – extensive but how traditional was the ‘hakka’ food? We’ll find out soon enough…. We ordered the braised pork belly with preserved vegetables and this was absolutely fantastic! The pork was tender that it just melted in your mouth. 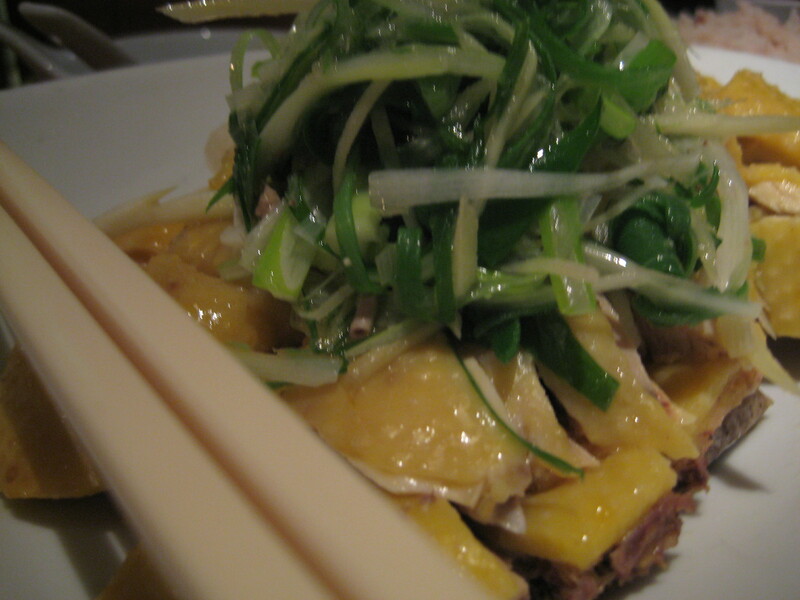 It wasn’t too fatty which was good – as fatty pork can be a little sickening at times. It was full of flavour and absolutely divine! Next the Emperor Chicken, which was steamed chicken topped with ginger and shallots. This was a simple yet delicious dish. The chicken was tender and the ginger and shallots a great compliment. 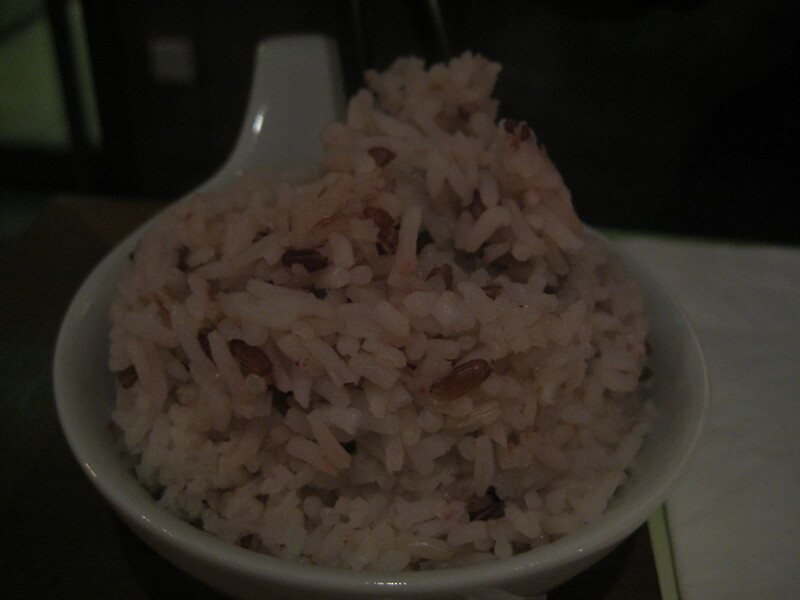 We ordered a bowl of rice – mix of brown and white rice – I didn’t have any but Hubby said that it was nice and ‘healthy’ – does he even know what healthy is? 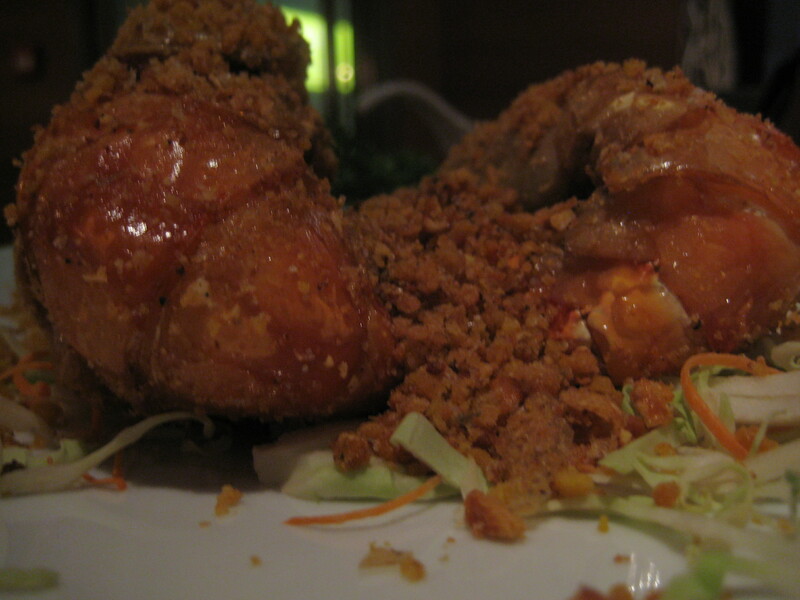 Next came the fried prawns with onions. The prawns were full of flavour! I, of course, didn’t eat the skin and peeled if off. Hubby on the other hand could not be bothered and ate it all – GROSS! He said that the skin was TASTY… a little hard and crunchy isn’t it? My only gripe about the prawns were there were only 2 per serve – so one each?!?!? Nevertheless, 3 main courses were all we could eat. We had to take the emperor chicken home as it was way too much. It was dinner for Hubby for the next day! How authentic was it? I would say it was quite authentic! 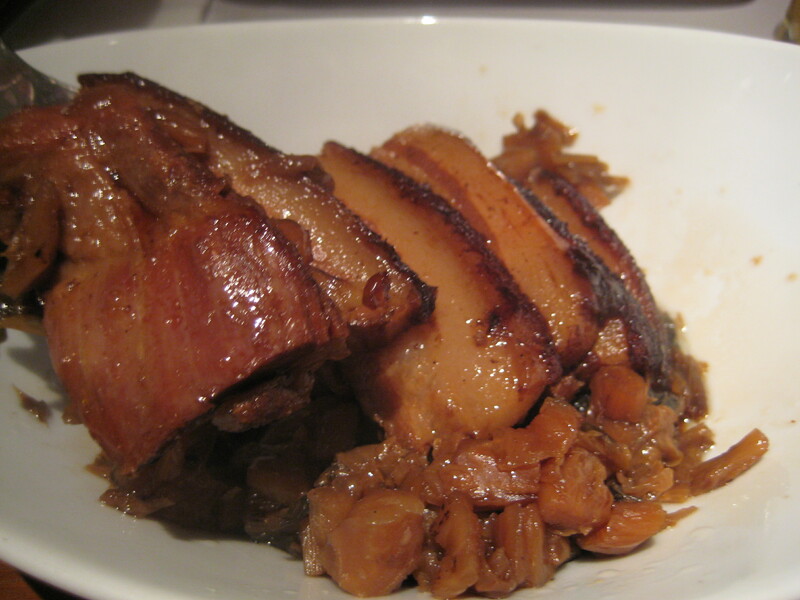 Especially the braised pork belly – an all time favourite dish of mine! The service was fantastic and price quite reasonable. Hubby and I had a fantastic ‘date’ discussing about life and our next holiday!! it was seriously tasty! we should go! My first taste of ‘Chiu Chow’ food 2007 Cricket World Cup Holiday….